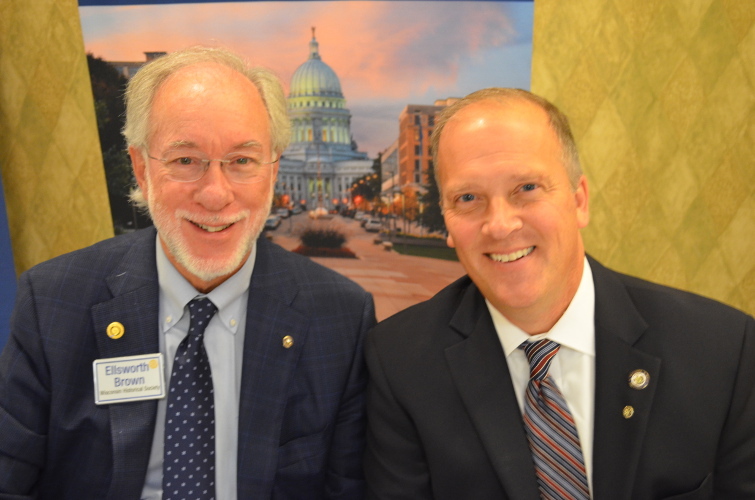 Wisconsin Attorney General Brad Schimel spoke with Rotarians on September 30 about why the Wisconsin Department of Justice, in conjunction with the Wisconsin Department of Health Services and partners across the State, have launched a $1.7 million campaign titled A DOSE OF REALITY, which is working to prevent prescription painkiller abuse in Wisconsin. Brad explained, when prescribed and used properly, prescription opioid painkillers can offer relief; however, anyone is at risk of becoming addicted, especially our young people ages 12-25. Deaths and hospitalizations from overdoses are increasing, and four out of five heroin addicts start by abusing prescription painkillers. Brad went on to share that this problem is impacting tens of thousands of families in Wisconsin and it is now declared a public health crisis. The fear of death is not strong enough to stop people from using these drugs. Opiate overdoses have more than doubled in less than a decade and now exceed motor vehicle deaths! Many myths on this topic, most notably the myth that only “bad” kids and only “other” families or neighborhoods are affected. The fact is, all walks of life and communities are affected by this problem. If not for prescription opiate abuse, we may not have a heroin problem at all. Most people abusing opiate drugs obtain the drugs from a family member or friend – this presents a great opportunity! Addictions to opiate drugs are driving spikes in most other crimes. Wisconsin is number 2 in America for pharmacy robberies, with Indiana being number 1. Brad stressed that legal enforcement alone will not solve this problem. Treatment is a critical piece to the solution. 163,000 people in Wisconsin are abuins opiates. Ask your health care providers if there are alternative therapies available instead of taking an opiate drug. In the United States, we readily reimburse for drugs but are not good at covering addictions. Advocate for changing this. 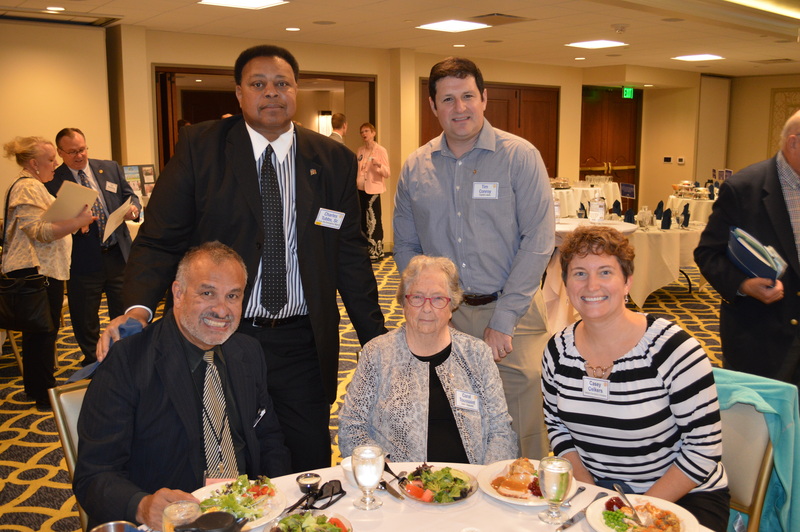 Our thanks to WisconsinEye for videotaping our meeting this week. CLICK to view the video. “I’ve learned when you are trying to accomplish several economic goals, it makes a difference if the mayor makes the ask,” he said. 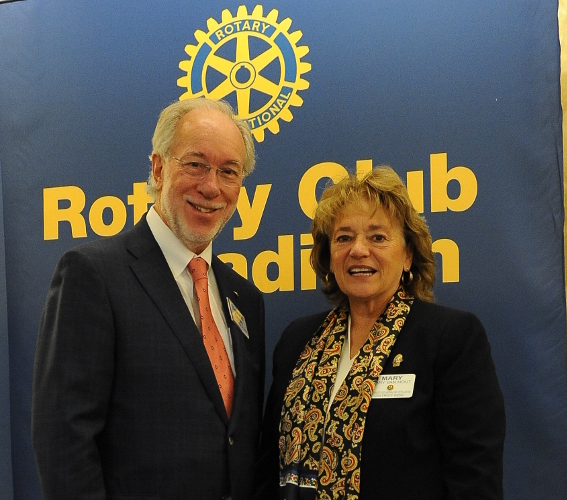 He had two asks for Rotarians. Mayor Soglin’s second ask is about housing. We are one of 100+ cities in the US that have signed a pledge to end veterans’ homelessness by the end of 2015 and end chronic homelessness by 2016. We are doing poorly compared to other communities, he reported. “There are reasons,” Mayor Soglin said, “particularly as it relates to the availability of housing and the cooperation of state government. What is most upsetting is we have 31 veterans with VASH vouchers (for veterans only, pays for housing) who are still on the streets because they cannot find housing. So my second ask is for Rotarians to contact the Community Development office and figure out a way to make an apartment available for one of these 31 veterans. City goal is to stay under 15% of our budget going to debt. With significant cuts, we are still at 17%. Where do our tax dollars come from? 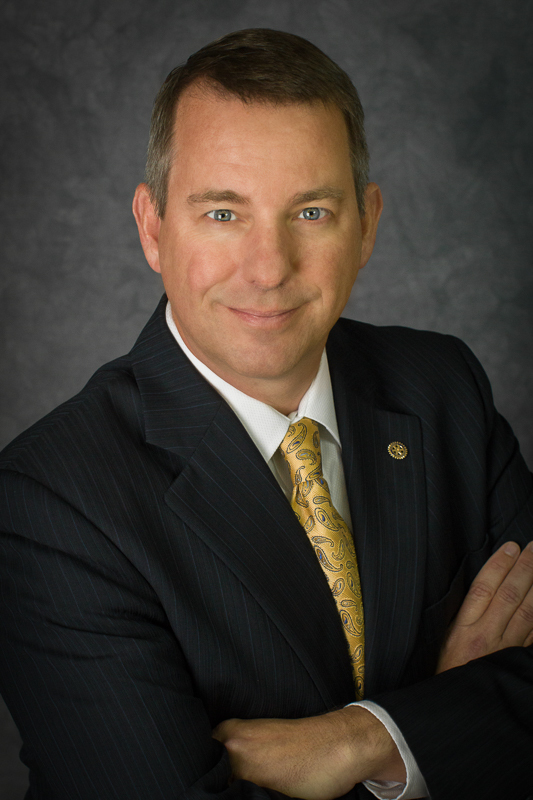 Almost 75 percent comes from taxes; 13 percent from state aid, eight percent from fees. This property tax burden is much higher than when he started in politics. The mayor reported he has made large cuts in CIP, the capital improvement plan. This has lowered our borrowing to keep our good bond rating and allow us to retire debt. CLICK to view the video. Our Thanks to City Channel for taping our meeting this week. 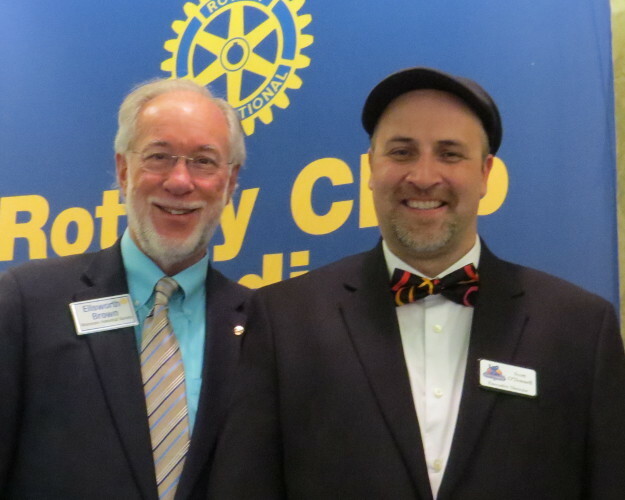 Fellow Rotarian Mark Krawczynski is originally from Warsaw, Poland, but has spent most of his life in Australia as a Chartered Architect working on many large scale public and private projects, including the reconstruction of the iconic Sydney Opera House. He is now taking his nearly 50 years of experience as an architect to promote and advocate for using known renewable energy technologies to change the way buildings are thought of and constructed. Thinking of future generations, Mark explained that the earth has reached the point where the use of traditional single-use energy technologies (oil, wood and coal), the growth of human population, and accelerating economic development have placed an unsustainable pollution load on the environment. Fossil fuels, in particular, have caused many cities and regions to become polluted to the point where one can no longer see the sky, clean water is threatened and increasingly scarce, and pollution-induced illnesses have claimed more lives than polio. From this gloomy premise he proceeded to propose that solutions are available but that the time to start is now and the transition will take a long time – probably 40 to 50 years. Mark proposed that one of the first things to change would be how we view the purpose of buildings. He described the construction of buildings in the past was from a “defensive” purpose. That is, buildings were primarily to keep out natural elements such as water, wind and sun and, therefore, wasted. Current buildings throw away these natural and renewable resources by repelling and sheltering us from them. An updated consideration of buildings would look for ways to combine several clean, renewable energy technologies that would work in concert to provide for the energy needs of the building and spin off enough surplus energy to be used elsewhere in the community. Mark envisioned that buildings built in this fashion would need to combine several technologies to be feasible but would work better than traditional energy methods. Buildings designed using the harmony of several clean energy technologies would need to incorporate the technologies into their shape and structure, as well as the surrounding environment and natural resources of the site (wind, sun, geo-thermal, water, etc.). Mark concluded by showing a short video that described a prototype building called an Elemental Flow Tower. It was designed to use natural light, water, sun, geo-thermal, rain and wind to create a total system of self-contained energy production, as well as serve the functions of a building for shelter and comfort. CLICK to view the video of this presentation on our club’s YouTube Channel. 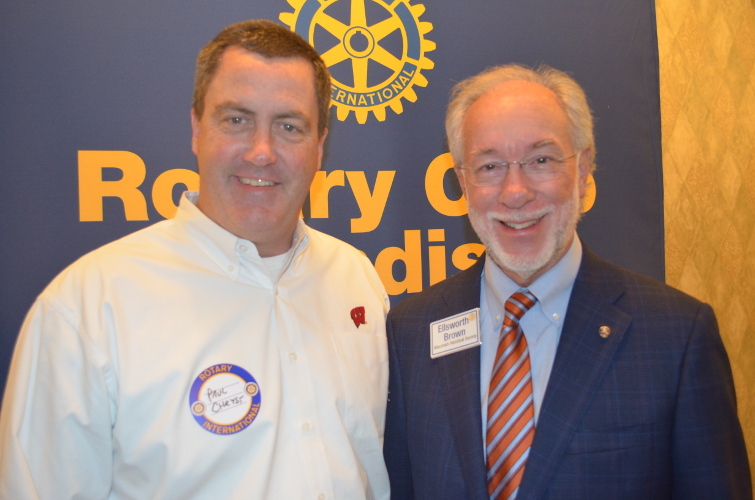 One of the many benefits I appreciate about Rotary is the chance to learn new things about Wisconsin from our wonderful programs. 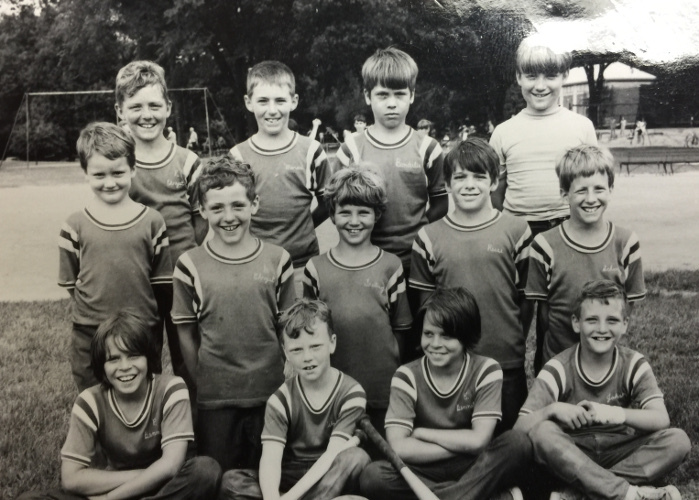 Having moved here in 1977 – which made me a “newbie” at my table – I was unaware of the German prisoners of war who worked on our farms in World War II. 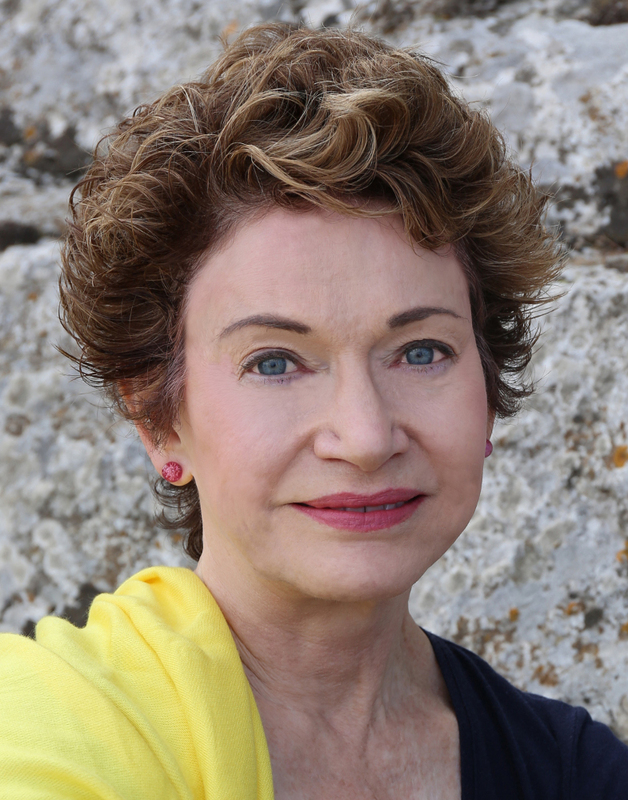 Author Lucy Sanna filled us in on the history of German POWs in Wisconsin and read the opening of her newly released historical novel, The Cherry Harvest. Her presentation was enriched by historical photos of ships and trains that transported the POWs, camps where they lived and places where they worked. Sanna acknowledged the aid of experts at the Door County Historical Society and public library, as well as the Wisconsin Historical Society, for her research. She and her daughter stayed with a farm family in the area, and she was put in touch with people who once worked with the POWs. She gained a lot of information from the staff at Fort McCoy. In 1941 German POWs captured by the British were encamped in Europe. Because of a rumor that Hitler planned to drop bombs on the camps, the POWs were shipped to the United States on empty, returning Liberty Ships used to bring American troops to Europe. They traveled by train to military bases in many states, including Fort McCoy and other camps in Wisconsin. In 1945 there were some 425,000 German POWs in the U.S., according to Sanna. At Fort McCoy, German and Japanese prisoners were retained in a separate camp within the Fort. The two groups were housed separately but used some shared facilities, leading to hostilities which needed to be managed by camp staff. The camp treated the prisoners well, offering such benefits as typing classes, a library with books in their own language and services provided by the YMCA. Yet officials publicly kept mum about the presence of the POWs in Wisconsin. With the troops in Europe, Wisconsin residents who had once worked in orchards, canneries and dairies moved to more lucrative jobs in factories. This left farmers and food processing operators without the workforce they needed to make a living. Sanna’s novel opens in 1944 with a moving scene about a Door County farm woman who is desperate to feed her family. She learns that there are German POWs who will pick cherries for 50 cents per hour (of which they keep 80 cents per day in the form of scrip which could be used in the camp commissary). The woman overcomes fear and conflict in her community to bring these workers to the peninsula for the harvest. 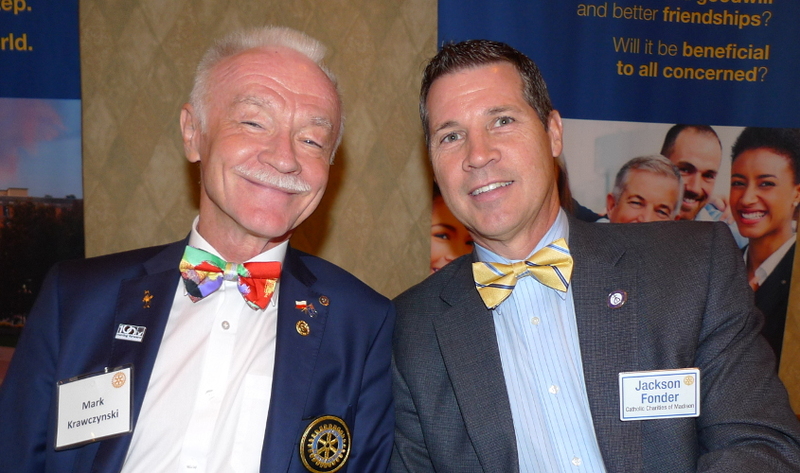 Rotarians and guests were enlightened and delighted with Scott O’Donnell’s (right) lively presentation about The Circus World Museum in Baraboo, Wisconsin, and his own lifelong fascination with the circus. Born in Canada, he claims to have moved to Wisconsin to escape the harsh winters in Canada. The program opened with President Ellsworth Brown wearing a clown nose while he introduced O’Donnell, Executive Director of the museum, which is a Wisconsin historical site. The music for the day was “The Man on the Flying Trapeze,” including a slide of the 19th cemtury circus acrobat named Jules Leotard, whose name is used for the tights he developed. O’Donnell did not have a circus background, as do many performers. Instead, he became interested in the circus as a child and turned into “the crazy kid at the back door of every circus.” In college he studied Russian history but did his senior thesis on the animal rights movement in the circus. He began his career as a clown, using dogs in his act. He refers to this period as having a “traveling dog pound,” relating how a woman left him “Tiny,” the largest great dane he ever saw. Interested in show “business,” he owned his own circus for several years. He entertained the audience with circus history, including the origin of such terms as “making the nut,” or earning enough to pay the bills and get back the nuts which hold the wheels on the circus wagons. He also explained the origin of pink lemonade, which sold much better at the circus than ordinary lemonade. He described the daily programs at Circus World and other activities and features that await visitors. It seemed as if everyone in the audience wanted to head straight for Baraboo and the Circus World Museum. His presentation was about as much fun as a visit to the circus, but he left us all wanting more!